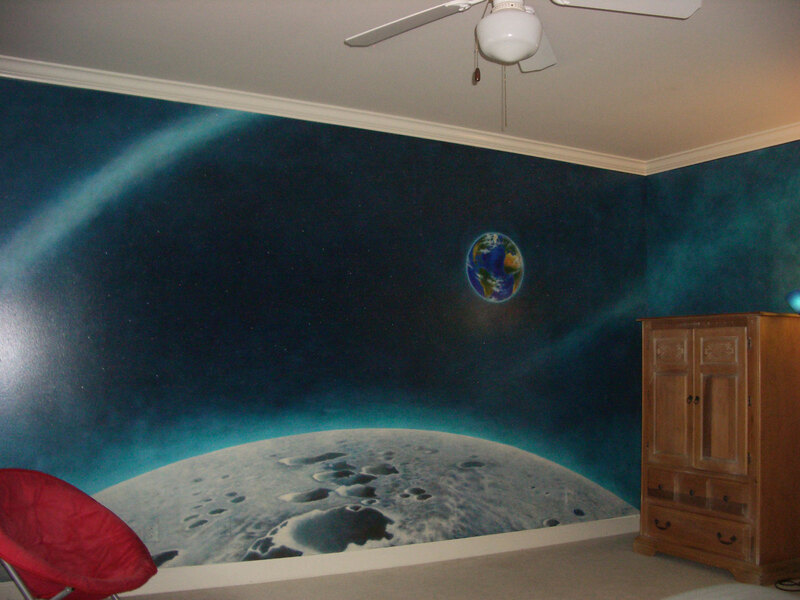 Outer Space Murals by Visionary Mural Co. Glow In The Dark! Based in the Atlanta area, muralist Megan McKeithan, of Visionary Mural Co., creates three kinds of outer space murals that glow in the dark. 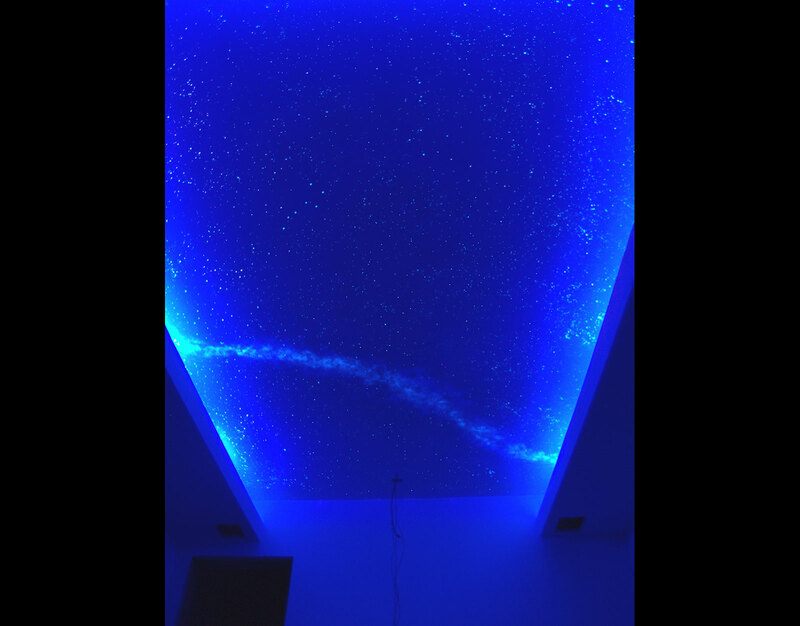 First, she paints celestial night sky murals on off white colored ceilings or walls and they appear nearly invisible in regular light, but glow beautifully in black light and in the dark. Second, she adds a layer of glow in the dark stars over a fully rendered outer space mural. 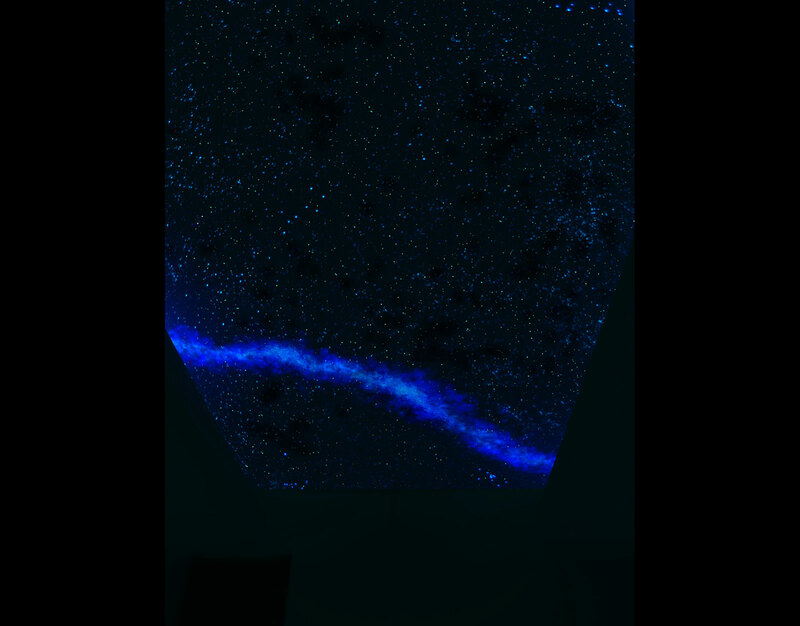 Third, she can add a layer of glow in the dark stars over a lighter mural, like a daytime sky on the walls or ceiling. The lighter color will reflect more light and show more stars at night than the darker colored sky mural. The lighter the background wall color, the more stars show up in the dark, so choose your mural option based on the end result you want to achieve. A solid base coat of off white will reflect the most light back to your eye, making the most stars shine brightly in the dark, while a dark colored sky will reflect some stars, but not as many. However, if you want an outer space look all the time, the full outer space mural is the way to go, with the added bonus of some glow in the dark at night. Atlanta area Outer Space Murals by Visionary Mural Co. 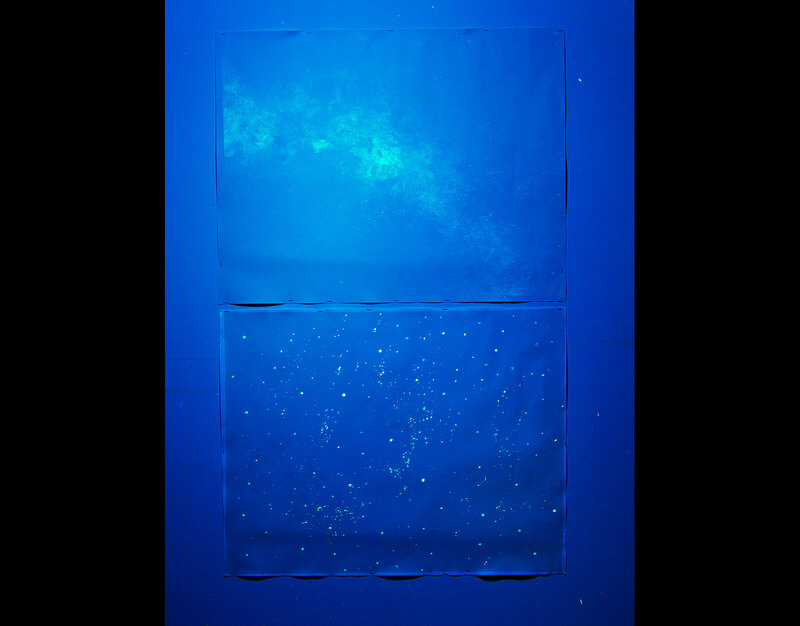 If you select the nearly invisible glow in the dark star mural over an off white basecoat, just charge your mural for 30 minutes in white light or black light and enjoy stars, constellations and the Milky Way for hours. The lighter the base color, the longer the glow will last and the better camouflaged the star paint will be against the ceiling color. Phosphorescent star mural in white light, black light, and no light. One image shown here features the white and black lights turned on so you can start to see the glow come to life. Megan McKeithan of Visionary Mural Co., painted this mural above the soffit in a home theater in Kennesaw, just outside of Atlanta, GA. The soffit contains fluorescent black lights on three sides. 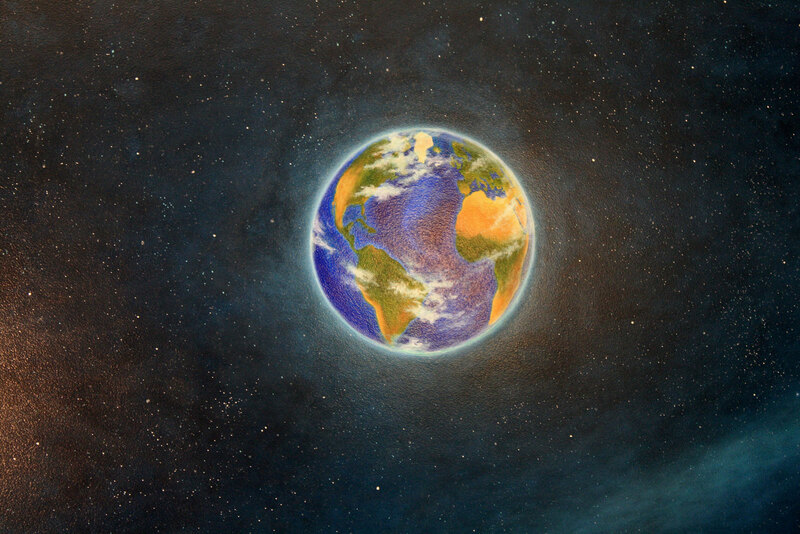 The black light option lets you entertain without the lights completely out and lets you see a lot of the magic of the glow in the dark sky mural. 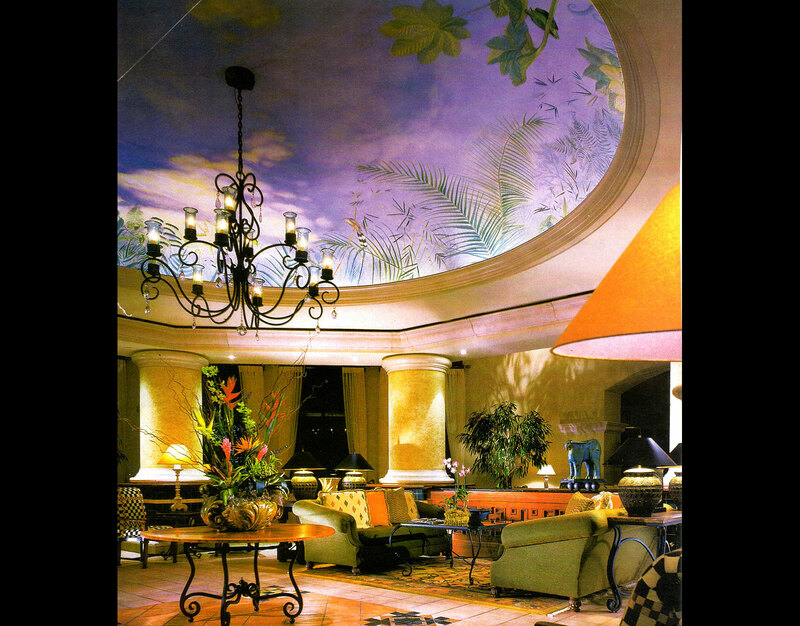 Inexpensive fluorescent fixtures were used to light the mural in this room as no one sees them on top of the soffit. Black light offers interesting option for seeing the mural while still having light to move around the room. 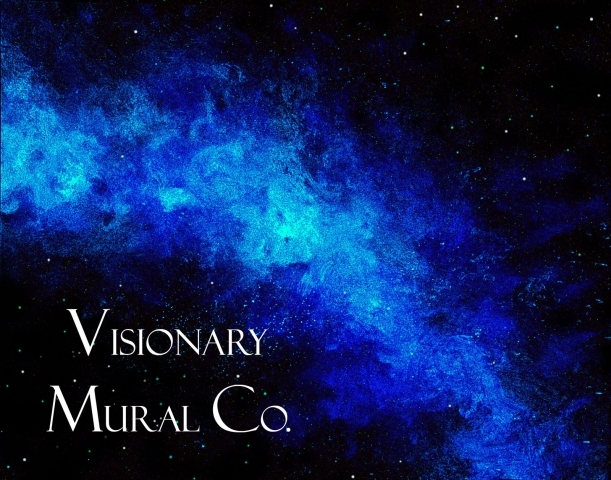 Visionary Mural Co. uses only top quality professional grade non-toxic phosphorescent paints (not sold in retail stores) to provide the longest lasting glow available. 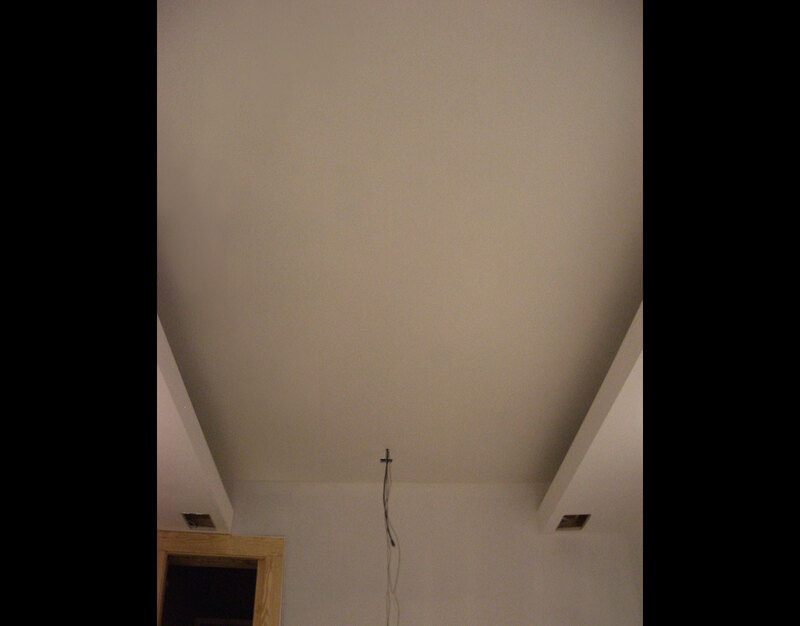 Select a basecoat in eggshell-sheened latex paint to prepare your ceiling or wall for a celestial mural. 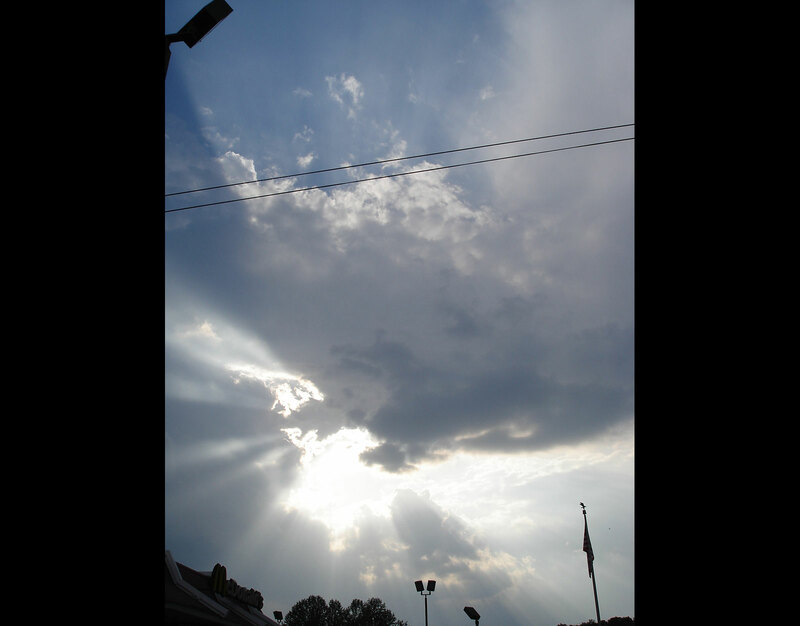 Consider using up-lights to charge your ceiling for the brightest charge. With seven glowing colors to choose from Visionary Mural Co. can customize your mural with any celestial phenomena you can imagine. Stars, constellations, nebulae, or galaxies – you can create your very own universe! 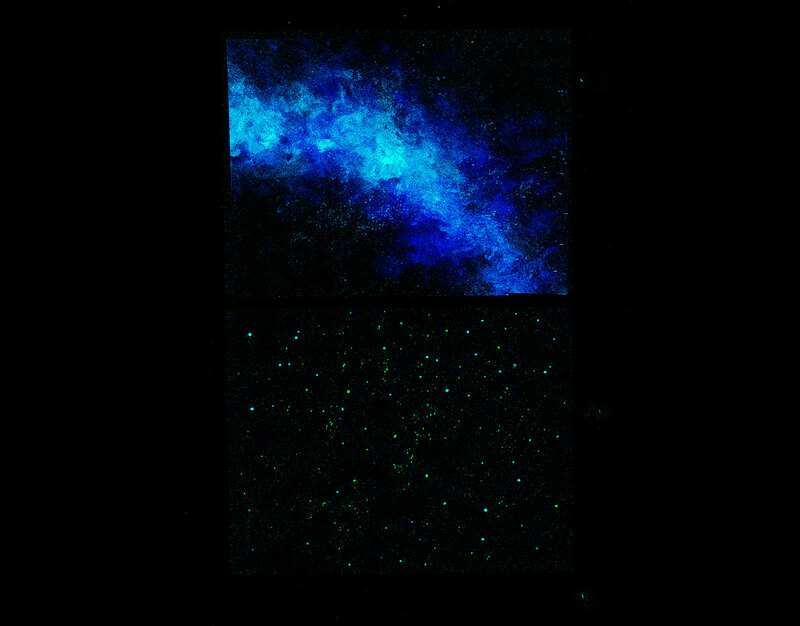 Image of the paints used by Visionary Mural Co. to paint glow in the dark star murals. 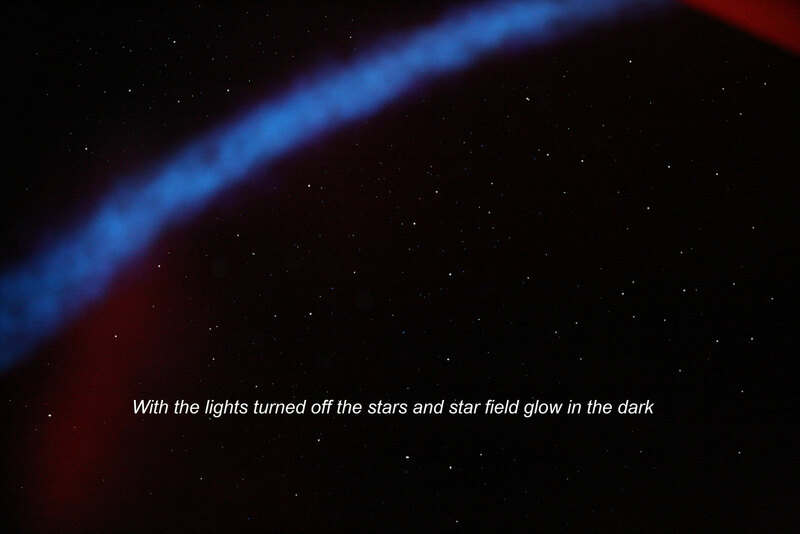 For the murals shown here, the red, yellow and green have not been used, but they are available for other kinds of outer space phenomena. If you select the second option, Visionary Mural Co. can paint an outer space mural visible in the daytime. Megan McKeithan painted this mural for a teenager’s room in Alpharetta, right outside of Atlanta, GA. 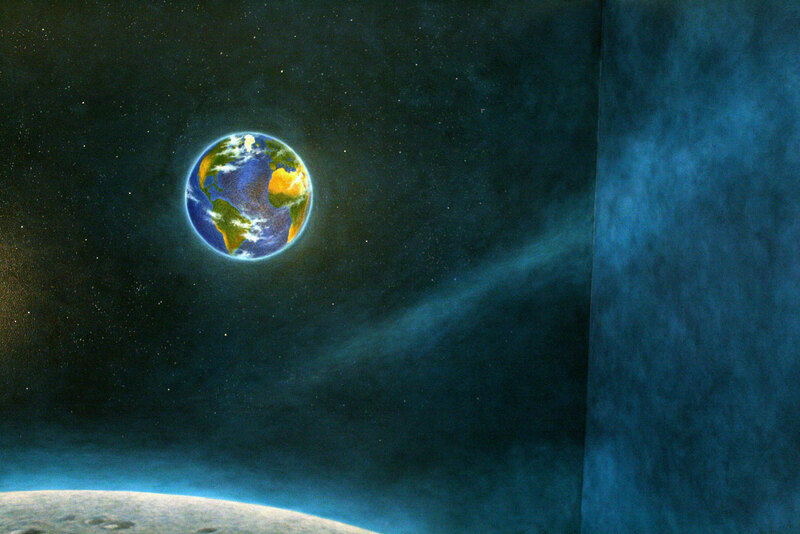 This mural features the view of the Earth from a bedroom hovering over the moon, and includes deep space and a star field. At night the star field and stars subtly glow in the dark, giving a special effect to the mural. 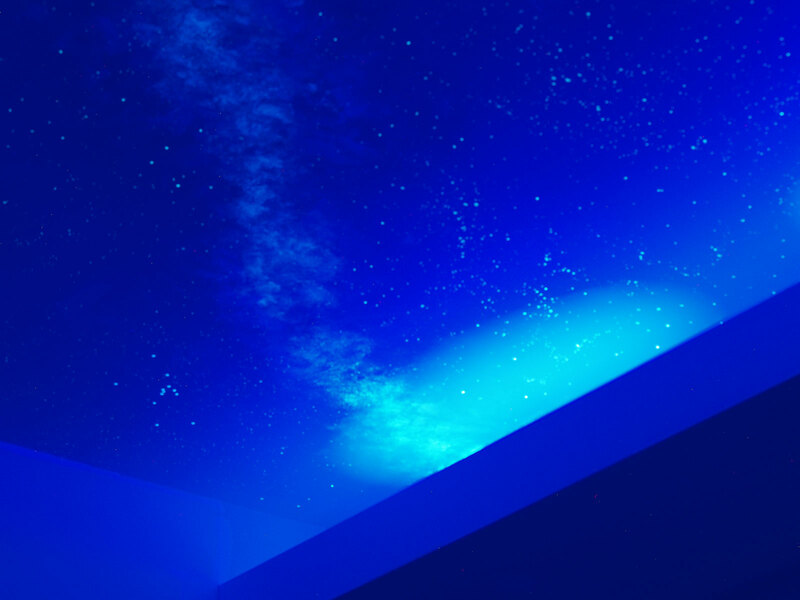 While the stars are painted in the same paint as the home theater sky mural also shown here, the effect is subtler because of the darker wall behind the stars. The mural transitions into a soft atmospheric faux finish on the other walls of the bedroom. 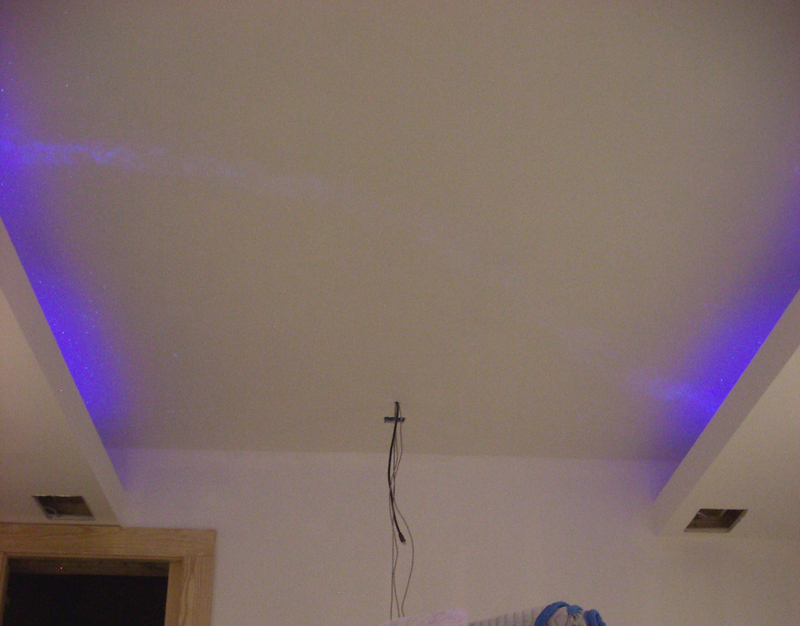 The clients wanted the outer space feeling without getting too dark on the rest of the walls. Therefore the faux finish is a bit lighter than the mural and a bit softer to just give the idea of space clouds around the room. It’s actually a bit softer than it looks in these photos, just a nice environment for hanging out and playing video games. The third option for painting glow in the dark star murals is to paint a daytime sky mural that is lighter than an outer space mural and then adding a layer of glow in the dark stars on top. This would work well as the color of the glow in the dark paint is off white when it is not glowing. 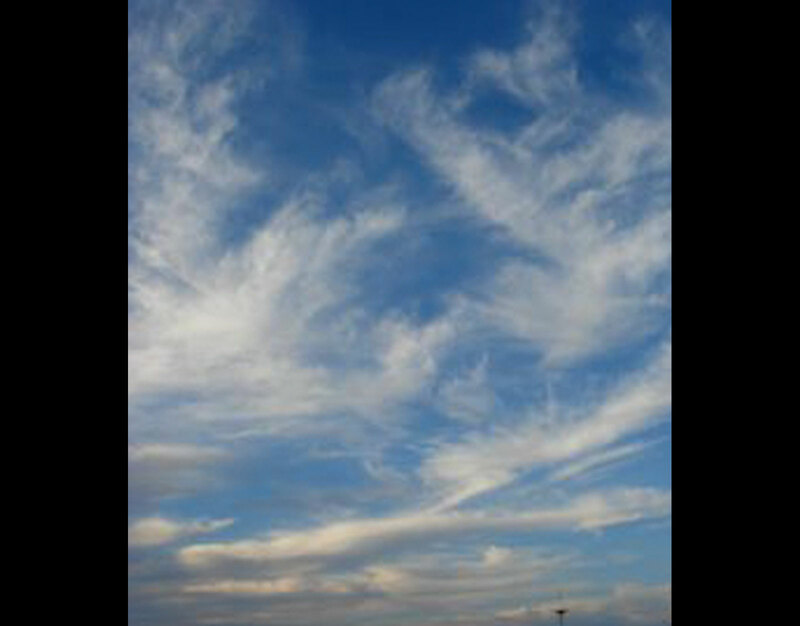 It will camouflage nicely with lighter blues and grays and whites as you might see in a sky like this one. Megan could paint the very same mural on top of a sky like this as the glow in the dark night sky mural shown above in the home theater. 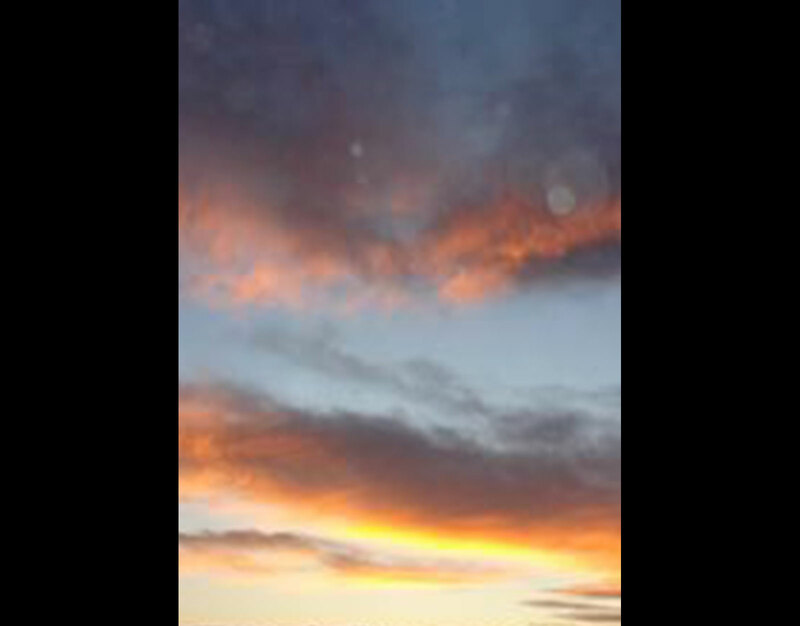 The glow would last longer the lighter the overall color of the sky. 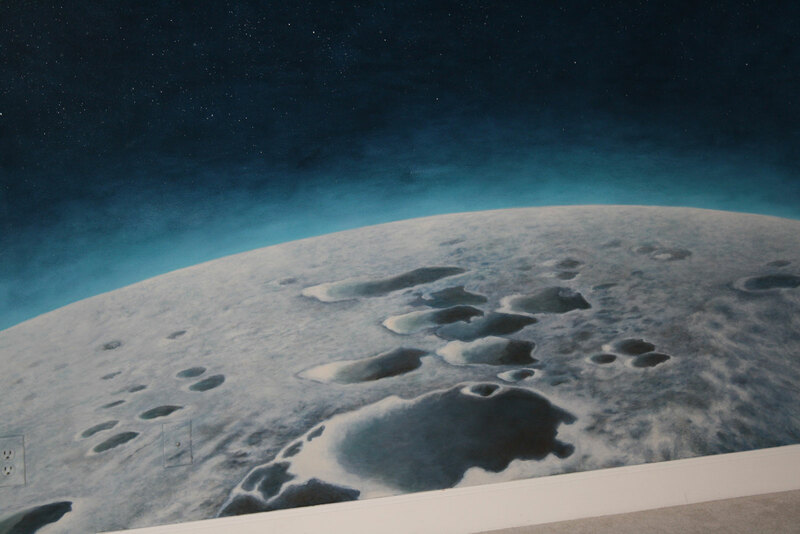 If you’d like to paint a glow in the dark sky mural in your home or business, consider your options and your final output. A darkened room is perfect for a home theater or bedroom, where you actually spend time in the full dark, while a mural that shows up in the day time is also a great effect. Also consider black lights, they add an level of light you can use in between white light and black light while still having a cool effect. 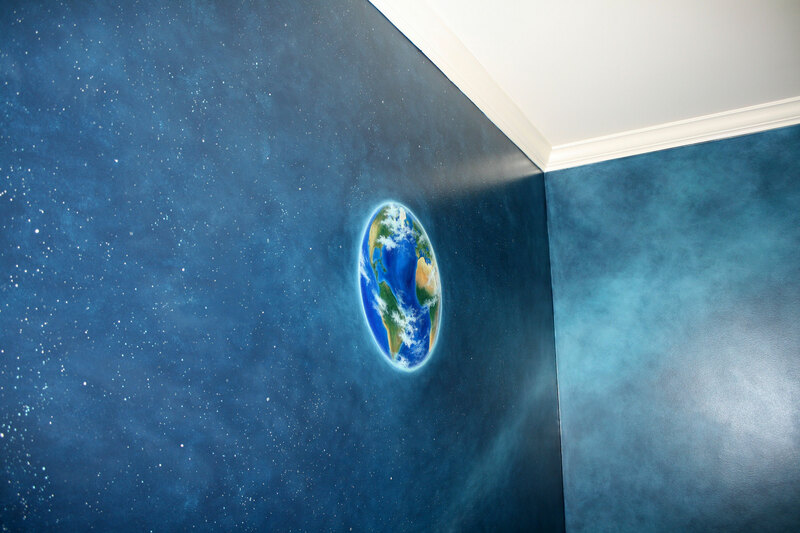 Measure out your wall(s) or ceiling and ceiling height and contact Megan@VisionaryMuralCo.com if you’d like to get an estimate for any of the three outer space glow in the dark sky mural options. 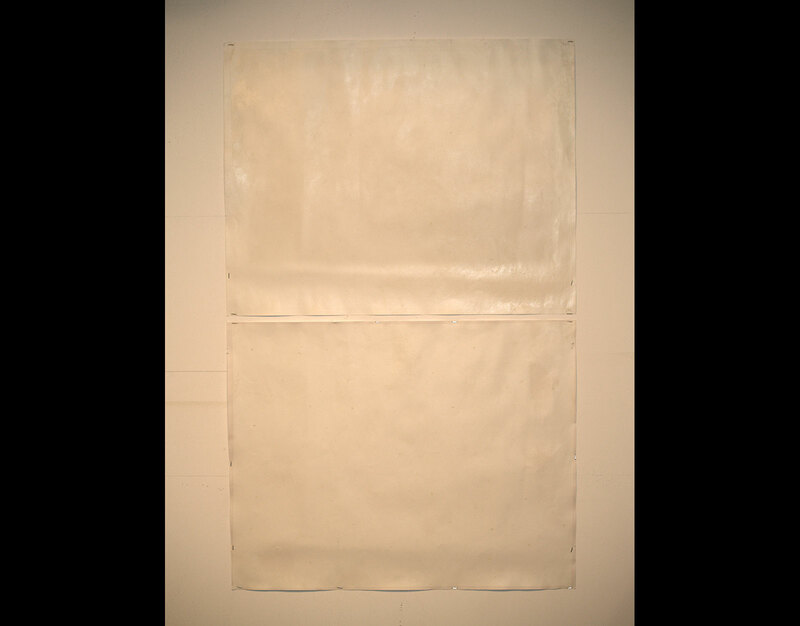 Keep in mind you’ll need an eggshell sheen basecoat for any mural (not flat ceiling paint). Glow in the dark star murals are actually one of the most affordable mural options and pack a lot of bang for your buck! Megan McKeithan, of Visionary Mural Co. paints all sorts of murals in and around the Atlanta area. Visit her portfolio on www.VisionaryMuralCo.com and like her Visionary Mural Co. facebook page to see ongoing creative projects!